I’ve learned something about myself from running this All Things Girl series…As much as I love it, I miss being ‘in the moment’ sharing life in ‘real time’—I’m finding it really hard to stay ‘in theme’ when events are swirling around me with exciting new media to share! Whether it’s accompanying Anand and my Tapestries of Hope film pals today to witness the amazing work taking place via the OWCF (One World Children’s Fund) or writing about Monday’s exciting Program for the Future conference at the Tech Museum, furthering Doug Engelbart’s collective knowledge model, I feel like I’m always a step behind myself, like an errant shadow trailing my mind. There were other equally awe-inspiring moments that had nothing to do with media and only partially to do with ‘All Things Girl’ so you can see my frustration with wanting to ‘blog fresh’ before my mind loses the experience! …I think I’ll pass along some of the Batsiranai art to humanitarian visionaries from our NextNow collaboratory helping out at Doug Engelbart’s Program for the Future, as ‘Batsiranai’ translates to ‘helping each other” —and I can’t think of a better way to use collective intelligence! I’m so excited to lend a hand at the event…take a look at this speaker line-up and you’ll see why…talk about some brainpower and backing of visionary ideas! MIT Media Lab (a favorite of mine, as you can see by my I/O brush kids art post long ago), Stanford’s Media X, and I happen to know for a fact that even though she’s in Vietnam right now on a junket, Visual Insight specialist Eileen Clegg has created a massive mural large enough to surround the entire Tech Museum presentation hall. Her plan is to help us all grasp the graphical timeline of where we’ve been and where we’re headed in terms of the connected revolution and vast potential to harness media as part of our collective intelligence used for POSITIVE pursuits…Can’t wait to see it…See? Distracted. I digress. Apologies. Always hilarious and spot on, author and gal pal Felicia Richardson Battle (who wrote ‘Feel Good Girl’/Ypulse review here) focuses on preteen precociousness and preciousness with insight, candor, and ‘tell it like it is’ conversational wit. All of Felicia’s posts tend to have me nodding my head in agreement or giving an air high five, (usually both) so check out her book, her blog, and her thoughts and see if you’ll join me in wishing there were a new contender for the hackneyed ‘you go girl’ phrase, even though that’s the sentiment, spot on. As a segue to girl created media to shift us into the literati of blogs that are not ABOUT girls but instead BY girls and FOR girls, we’ll be adding some link love for worthy Smart Girl sites for aspiring Teen Lit, writers and artists that abound, starting with one of my all-time favorites for aspiring writers, Girls Horse Club. As one has a ‘horse girl’ who tries to get to the coast to ride Western whenever she can, know that these Junior Bloggers (and their lead mare, Michelle) are an inspiration for girls to create their own stories and share ‘barn goddess’ experiences. It’s a find for any equine enthusiast and literacy lesson in passion to ‘write what you know’ because these girls weave their experiences and tales into poignant story archs and descriptive prose that would make any language arts prof proud. The barn goddesses in Girls Horse Club’s media stable are getting out into nature and kickin’ it for REAL, using media as a distribution channel for their passions…And while I DO like the virtual horse world of Bella Sara’s positive messaging for girls, it’s still trading on a ‘Webkinz’ style model of buying packs of ‘stuff’ to ‘play online’ so doesn’t register with me as much as GHC’s authentic hub for girl empowerment. Soooooo… check out GHC’s stable stories. Blogazine. Girls Book Club musings. Freebies. Site. And ‘all things girl’ (and filly) gifts, with worthy links/suggestions from GHC like Fund 4 Horses.org to ‘have fun, do good’ and set those wild horses within FREE! One of her recent posts, Steal This Christmas Gift Please! offers a chance to lift the gift of “The Perfect You” and customize it in your own words to publish and empower as a girls keepsake. I may use Blurb for book design as I love their elegant/stylish templates (it’s the creative director in me shining through) but whatever self-publisher you choose, it’s a treasure! 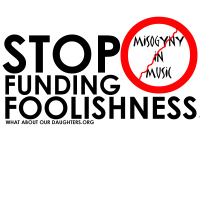 If you’re looking for a ‘kinder gentler’ spin on All Things Girl with ‘sugar and spice and everything nice’ What About Our Daughters may not be the spot, but if you’re seeking some of the most intelligent, witty, in-your-face, shoot from the hip, call it like you see it, whack upside the head geopolitical snapshots of media’s powerful influence and trickle down impact on girls, Gina is a whip-smart media maven that spews like an uncontrollable firehose of truth. Her reflections on girls and life give me a much needed bracer whenever I get too sanguine or lax, inspiring me to ‘get back to it’ and strive to make a difference on this big ol’ blue marble of a planet. 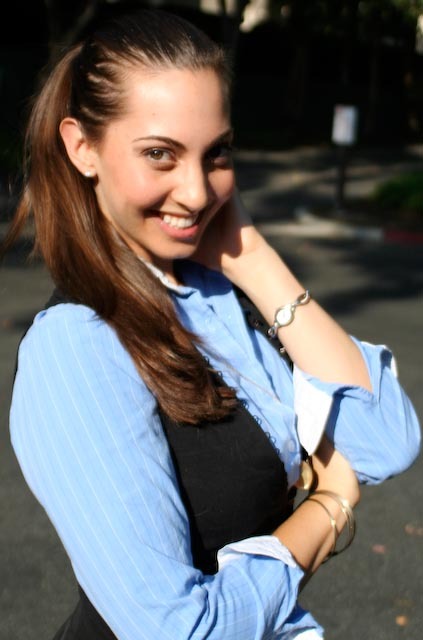 “Claire writes books, blogs, leads workshops, and consults with companies and organizations that want to reach girls and women with empowering messages. She has served as the director of the American Anorexia Bulimia Association, the Executive Editor of SmartGirl, and the Assistant Director of Communications for Girls Inc. She is also the co-founder of Inside Beauty, an outreach program dedicated to promoting healthy body image. Claire received her M.A. in Gender Studies from The New School for Social Research.” Claire’s an unstoppable force field wealth of knowledge with a backstory that intrigues (finally met her at the Ypulse mashup) packing more in her tender years than many have in a lifetime. She’s a bellwether for girl media universally, adept at shining the spotlight on the good stuff of All Things Girl and unearthing authors and offerings that all girls should know about! Her other fabulous site and Facebook group 5 Resolutions to Transform the Fashion & Beauty Industries which she hosts with top model/cover girl/activist for eating disorders Magali Amadei is a must read for girls as well, right up there with our own S.Y. 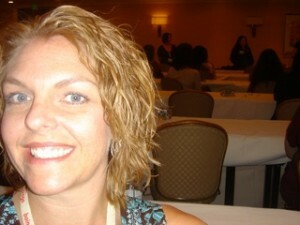 expert, Dr. Robyn Silverman’s body image resource blog, Kiss My Assets. For our mom readers, Claire and Magali would love YOUR survey input for their new book about body image, pregnancy and new motherhood, so find out more about that project here. Claire, in the words of your own book tour title…You’re AMAZING! Ironically, both Char and Lisa are moms of three kids, gymnastics coaches, and advisors to girl athletes…so this is a ‘twofer’ blog pick. Char keeps her blog up-to-the-minute with interesting thoughts on everything from campus recruitment to prevention of body burn out, injuries, and other healthy advice for raising athletic girls. Lisa runs GACtv (catch it on YouTube) so I blew my own referee whistle to disqualify GAC as a primary focus this round, because Lisa’s one of our regional partner orgs. Lisa’s girl team of teen bloggers are stringers for ‘girl-created literary media’ as well, so I’ll just leave you with their links to peruse both sites and find resources, tips, videos and ‘hmn’ moments to keep your head in the game. Last but not least, I chose Shaping Youth Gen Y expert Vanessa’s ‘girls category’ from within her larger On Teens Today blog, because her perspective on youth culture and her ongoing work with girls continues to be a vital resource for anyone trying to ‘mind the gap’ between generations…and decipher the subtext on the tween and teen scene. Vanessa wrote ‘You’re Grounded’ at 17 and now has ‘Dirt-E Secrets Of An Internet Kid’ that I need to check out next…And though she’s now a young millennial instead of a ‘kid’ her insights and feedback from working with girls are invaluable, as well as her ‘been there done that’ view of ‘growing up girl’ online. If you want to get a flavor for her work…check out her imitation/insights on 10 Ways to Take Facebook Pictures Like Teens” where she satirically nails it and she also ponders the larger cultural zeitgeist in posts like, Cotton Candy Friends: 6 Ways Net-Gen Connections Are Changing. Meanwhile, I’ve gotta get with the program, (literally!) to report on the Program for the Future! So congratulations to the super ‘seven’ for All Things Girl and PLEASE add your own voice, offerings, faves/recommendations and random thoughts into the mix. Also, to uncork some conversation, see if you agree or disagree with the See Jane Win assessment on these two links below! Tween Club: SpinMamas (womens’ social adventure group) founder & friend Patti Church in Ottawa has brilliant ideas for engaging tween girls in adolescence, from ‘just try it’ experiences and first-time fun to identity quests and soul strengthening projects, like these ‘words of wisdom’ via girls mandalas. Gretchen’s blog, girls’ forum, girls stories; community, and my favorite category called (of course) Girls Who Can! In Her Image: Former New Moon maven Julia Barry’s blog about girl culture with links to cool stuff like Lauren Greenfield’s faculty guide to Girl Culture! Project Girl: An awesome girl-led arts-based initiative with scalable ideas for media literacy that piggyback nicely with some of our counter-marketing pursuits; can’t wait to feature this one & find out more! TeenInk.org: National teen magazine, book series, and website devoted to teen writing and art. (heavily written by girls!) I love the way they peel back the page at the top right corner and offer an ‘unedited’ version called TeenInk Raw where readers vote up a submission, offer advice, feedback in peer to peer mentorship with the top picks getting the prominence of moving to the main mag! You pack a big punch in your posts! It’ll take some time to check all of these out. I sympathize with your problem staying in the moment vs. fulfilling a blogging plan. Sometimes I twist myself in knots trying to figure out ways to include totally different material into one blog post. Sometimes it work, mostly not. I’m beginning to think it might be better to just post a quick, even wordless, blog to share an item while it’s still fresh. Otherwise, it can be too difficult to get back to a subject later. 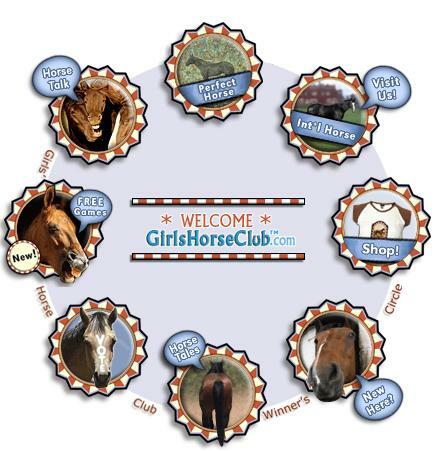 Thank you for including Girls Horse Club in your round-up. It’s an honor to be among such great company. Yay, we rock- go horse girls =]. 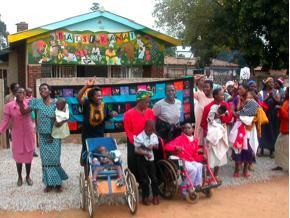 Please note the fabulous interview on Sejal Hathi just published at Change.org!!! I was pleasantly surprised to see my blog included in your All Things Girl round-up. I try really hard to build a strong foundation in math and science and minimize the effects of marketing hype with my girls. I am wondering how I could possibly be published too. I read Sejal’s article on change.org and you commented saying that you provide press uplifting. E.Y.E. 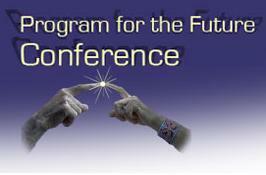 for the Future is looking for that (please visit the website: http://www.leap-programs.com). We are a NPO that provides educational opportunities to underprivileged children around the world, especially the indigent children. As of now, we have provided 7,000 children with the opportunity to attend school for an entire year. We are looking to get into the press more. I would appreciate any help. Thank you. Hi Malvie…Pleasure to hear of your org! It’s great to hear of inspirational programs for youth and education…Definitely reco visiting the 2009 graduates page of Women Leaders for the World crew at GWLN.org…(just wrapped this weekend!) You’ll see each year they honor global women making a difference and bring them to the USA for leadership training to further their dreams, orgs, and mission! Perhaps you should apply to take yours to the next level too? Anxious to hear more about cool social entrepreneurs…(I love the Me to We crew deploying kids as massive momentum for change in Canadian environs…for example! Another great one to check out is ‘Reach and Teach’ which has great education materials for peace and social justice…as well as DreamVillage for literacy on a global scale (teaching kids through the stories themselves how to help others) Very cool program, new to the arena via the IdeaBlob crowdsourced competition! .-= Amy Jussel´s last blog ..The Perfect Gift for a Man: Reinventing Manhood (Book) =-.